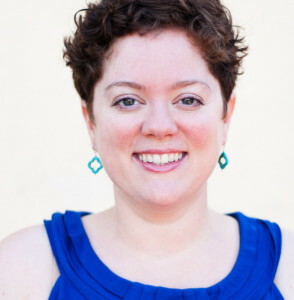 I’m Sally Parrott, a board-certified lactation consultant (IBCLC) who trained in lactation through the program at University of California, San Diego, where I graduated with a 4.0 before moving across the country to Rochester. I have worked in inpatient and outpatient hospital settings, WIC lactation offices, and now in private practice. I have experience with a wide range of breastfeeding families and the issues they may face. My goal with offering lactation services is to help you discover evidence-based solutions that enable you to reach your breastfeeding goals. 2) Working in-person or virtually with mothers who are not giving birth but who wish to breastfeed–often referred to as adoptive breastfeeding or induced lactation (see the Breastfeeding Without Birth page). 3) Helping breastfeeding mothers who are uncertain what to do after they have been told that certain foods they eat/drink, such as milk, soy, or wheat, are causing reactions or illness in their babies. I believe deeply in the primacy of parents in the choices for how to raise their children. What works in and for your family may not be the choices someone else would make, and I honor that. Therefore, my lactation consultations are about working together with you to find what fits your life: your needs, your energy, your lifestyle, your goals. I post about breastfeeding and parenting on Facebook and Instagram: search for Nourish Breastfeeding. I live in the Park Avenue neighborhood of Rochester with my husband, Daniel, who is a professor at RIT; our two-year-old son, Liam; our exchange student, Coco; our two cats; and our dog. If you would like to schedule an appointment, go to the consultations pages, or call me at (585) 310-1713. I look forward to providing you with thoughtful and knowledgeable breastfeeding support.